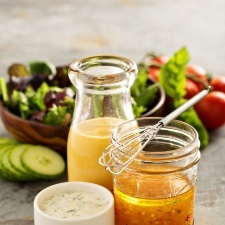 Have you tried making your own salad dressings from scratch? It’s so easy and the end result is much tastier than the bottled stuff. 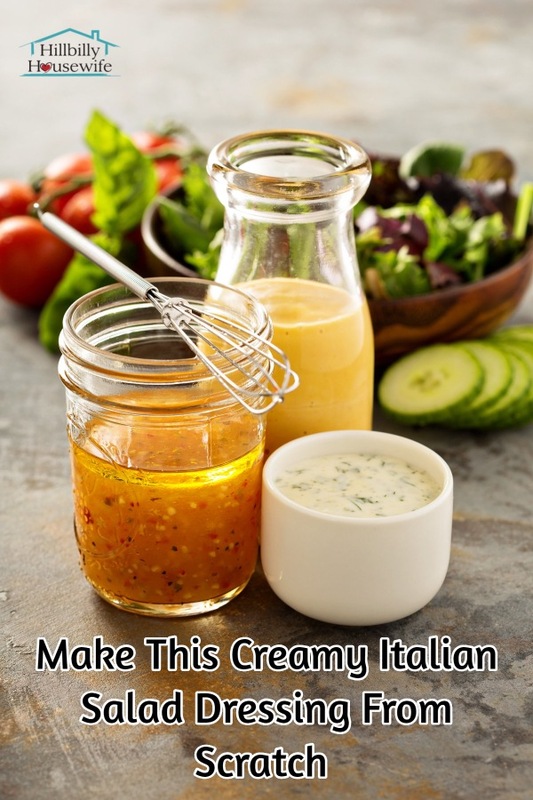 Today I want to share my recipe for creamy Italian dressing with you. It’s a favorite around here and goes well on a salad that accompanies a wide variety of dishes. I usually make a fresh batch each time we have salad, but this will also keep for a few days in the fridge in a clean glass jar. This dressing is so tasty I am often tempted to eat it by the spoonful. Try it on your favorite salads, and also on baloney sandwiches, and in pita bread sandwiches. Measure the mayonnaise into a bowl. Stir in the oil, 2 tablespoons at a time. Make sure all of the oil is blended in before adding more. Add the onion, and vinegar. Stir again, until all of the vinegar is absorbed. Add the sugar, basil, oregano, garlic, salt and pepper. Blend well. Store the mixture in a pint sized canning jar in the fridge. This may also be prepared by whirling everything together in a blender until it is smooth. Ready for more delicious homemade salad dressing recipes? Try this Caesar dressing, or check out my favorite homemade salad dressings here.